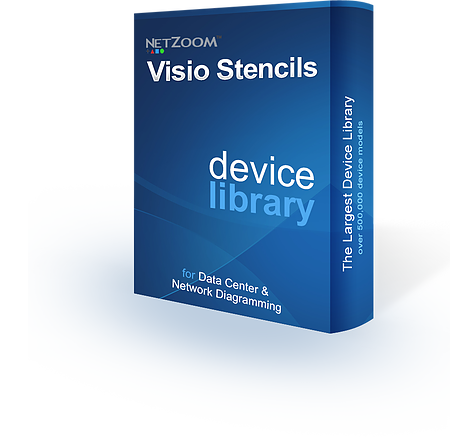 Largest library of Visio stencils. Scalable, high quality, true-to-life, manufacturer-specific equipment stencils. Pre-built connection points on all ports. Multiple views on devices (front, rear, back). Easily configurable racks, enclosures and chassis. * Run as a standalone application from Microsoft Visio. * Save time with the RackBuilder template! Build front and rear views simultaneously. * Quickly locate devices with the NetZoom search interface. * No need to download stencils before using.